Looking to scoop up one of the hottest and niftiest gadgets of 2013? Of course you are. 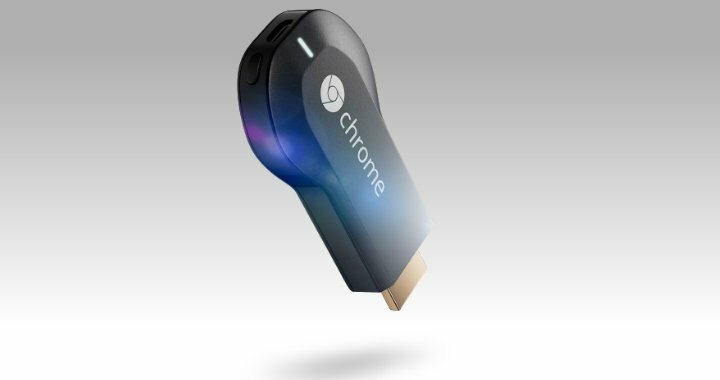 At only $35, the Chromecast is already a bargain. Shave the price by 14%, however, it becomes almost impossible to pass on. Order one right now and you’ll also receive a free movie rental worth up to $6. 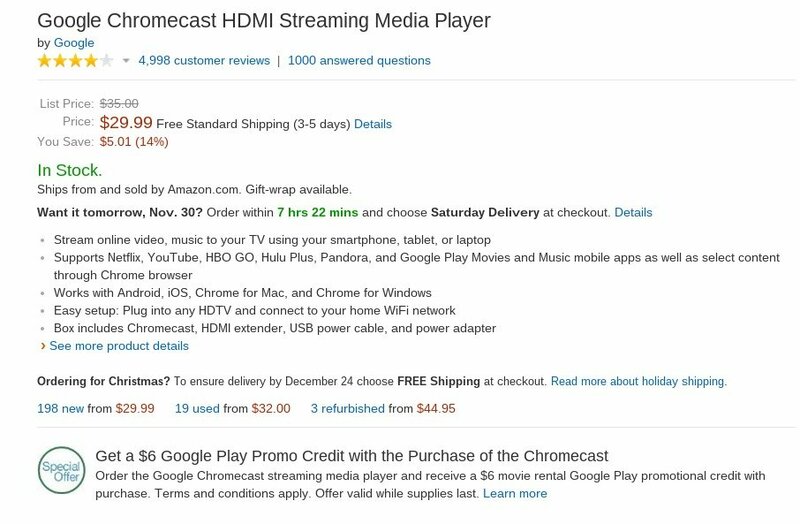 You can take advantage of the deal through Amazon right now; discounts are limited to “while supplies last”. Already own one of these? Pick up another for mom and dad or those other televisions in your house. You know, whichever you value more.